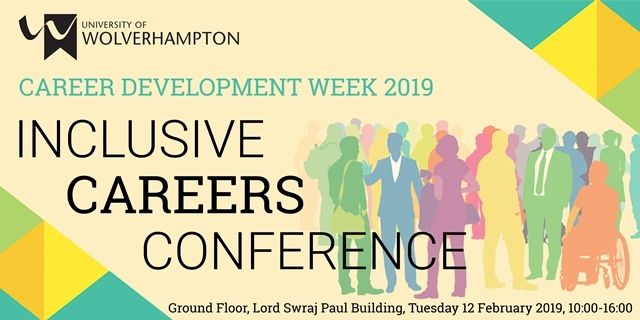 The first Inclusive Careers Conference will take place at the University's City Campus on Tuesday 12 February 2019, organised by Careers, Enterprise & The Workplace. The event's focus is on equality and diversity in the workplace with the objective of providing students with information, advice and a better understanding of the positive practices in place to support you during your various stages of employment. Facilitate opportunities for employers and support agencies to engage with students and delegates through exhibits, workshops and a question and answer session. Equip students from diverse groups with knowledge of the range of prospects available for graduates. Enable learning from inspirational speakers who are experts in their field, and to develop a network of contacts. Pre-booking is not essential - please come along directly to the event. The conference will be held from 10am - 4pm in the Lord Swraj Paul (MU) Building, Ground Floor, City Campus.